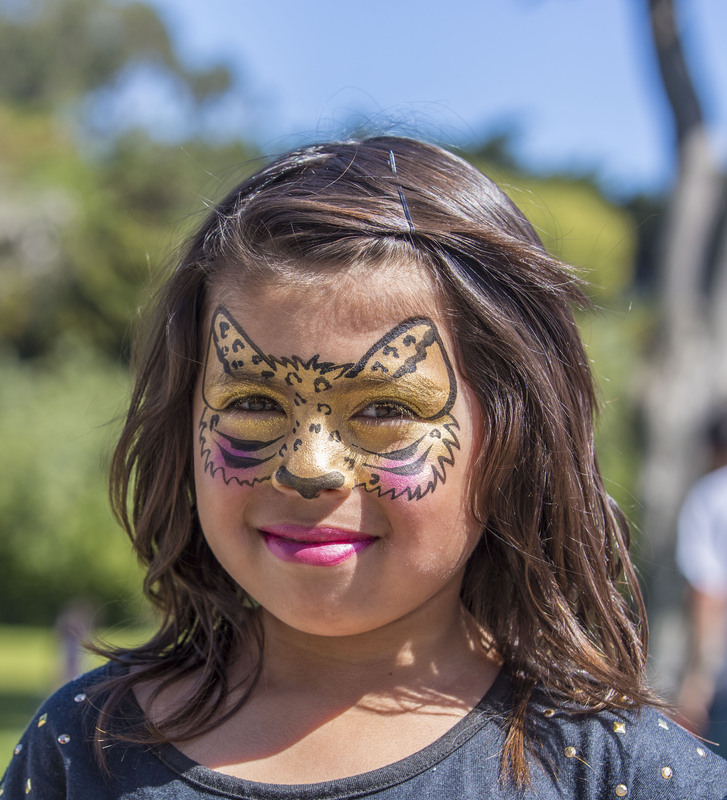 I was extremely lucky to have the opportunity to face paint at the San Francisco Zoo during the springtime for a private event to celebrate the grand opening of the Zoo’s brand new playground! It was an amazing party! They had a live band playing music for the children, balloon twisters, games and prizes, free chocolate milk, arts and crafts and so much more! The children were having an absolute blast and the best part was that although they had all of the kids entertainment, most of the children were doing exactly what the event was for- playing on the new playground. I had never seen anything like the playground that they had built. It looks like it was built out of real-life trees and I’m sure that adds to the fun for the kids! When I was a child, I would much rather climb in a tree than on a plastic playground and I will say that it took everything I had not to stop painting and play too! 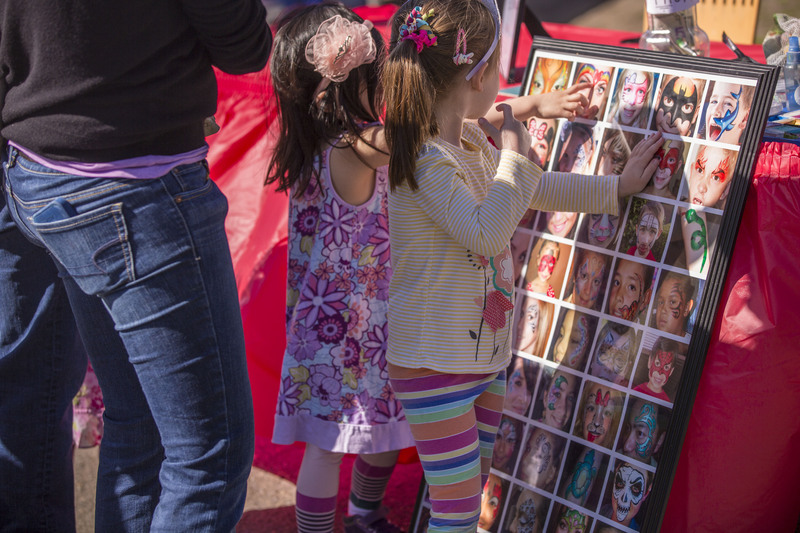 Children choosing their face painting design from Cynnamon’s display board. Most of the events that I face paint for are private parties that I get paid per hour to paint at, but this was an event where I charged per face. It was a beautiful sunny day and my line was full of excited children that couldn’t wait to be transformed into the design of their choice. I had my display board which allows the children to pick from their design by just pointing to their favorite picture on the board. One of my favorite little girls to paint that day chose a design that has a red glittery heart on the forhead with a rainbow coming out from both sides. I always add pretty red-glittery-lips, which little girls love so much that they often come back to have me touch them up! When she looked into the mirror for the first time after I painted her, she was glowing with joy! It’s moments like those that fill me with so much love for what I do! She giggled and couldn’t wait for her parents to see it! 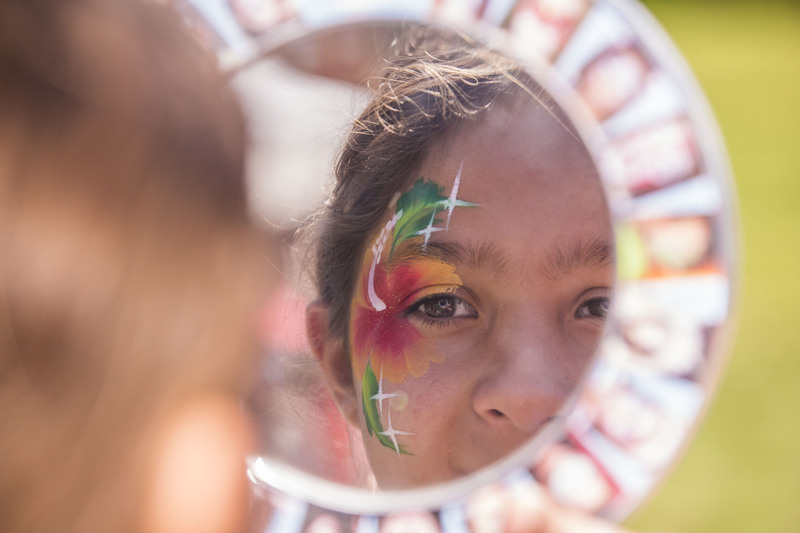 A little girl admiring her flower face paint design. Animal face painting designs were popular at the Zoo. 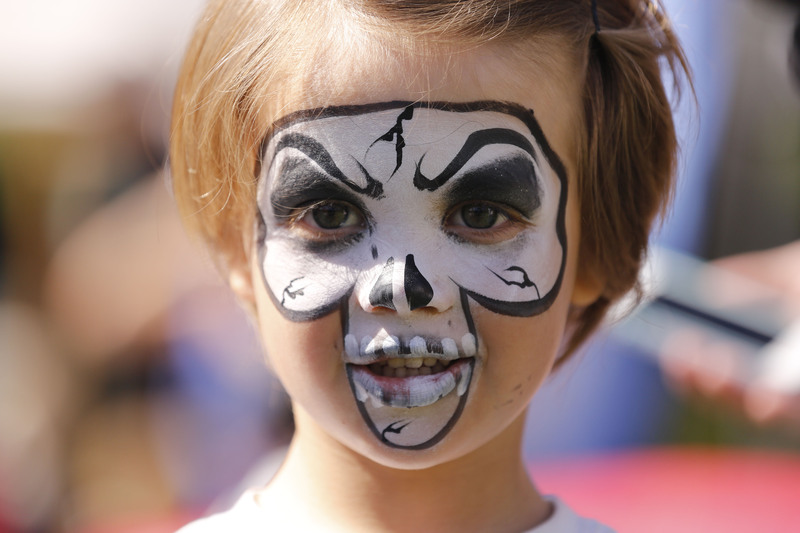 Boys love scary skeleton designs even at the Zoo.